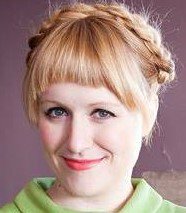 ​Amber Treadway (Director) is a senior BFA candidate in Directing at Columbia College Chicago, where she recently wrote and directed Frogs (Remix), an original adaptation of Aristophanes’ The Frogs. Past directing credits include Mud, Not Not Not Not Not Enough Oxygen, and Dean Talbot & the Search for America (Columbia College Chicago.) Amber is currently a directing intern at Chicago Fringe Opera, where she previously stage managed a site-specific Turn of the Screw in a lakeside mansion. Amber directed OperaRox's inaugural production of Le Nozze di Figaro in 2015, and is absolutely thrilled to be back for the NY premiere of Sweets. An Ozarks native, she is now based in New York.